Please select a home care Please enter a valid phone number. The longest and most trusted Home Care in Houston for over 20 years. We are a family owned business led by an RN who understands quality care and personally meets with every client. Since 1996, Temporary Home Care has been committed to providing the highest quality senior home care and home health care to the Houston area. Temporary Home Care’s caregivers are experienced in helping families eliminate worry, reduce stress and ensure personal freedom. From senior care to Alzheimer’s care and respite care to nursing care, we are ready to assist you through this difficult time. Learn more..
Sick or well, there's no place like home. We provide a wide range of in-home elderly care services. We provide in-home nursing care that speeds recovery and brings your loved ones peace of mind. Our caregivers help with grocery shopping, meal preparation, light housekeeping, transportation, running errand, planning social activities to name a few. We provide dependable respite care at home for individuals who need special assistance. Our caregivers provide elderly care for your loved one in the comfort of their own home. Caring for a loved one with dementia poses many challenges for families and caregivers. How can I thank you enough for all the wonderful nurses you have sent me - they have all been so thoughtful and considerate. They seem like family to me. I want you to know how grateful we are to you and the wonderful caregivers you sent. she would not have survived without the 24/7 home care your group provided. She is doing so well, just wanted you to know, from our hearts, how special you all are to us. Even though there are no words big enough to express to you all how important you all are to us, and how much what you have done for Mother and us has meant, please accept our thanks. 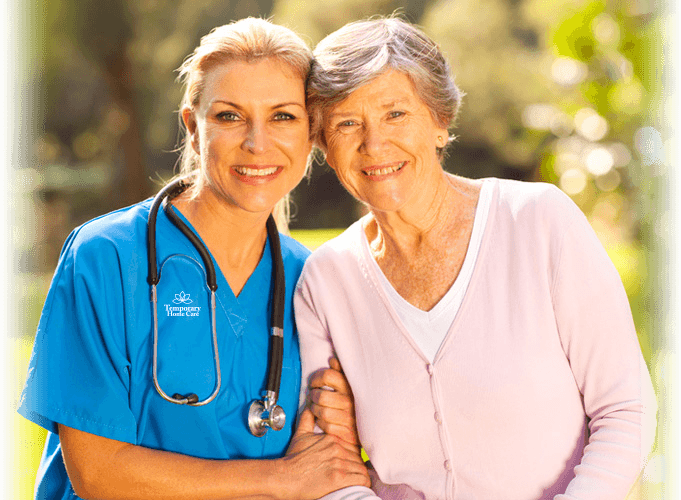 Temporary Home Care is an independently owned, licensed home health agency in Houston, Texas providing senior care and home health care with quality caregivers and registered nurses since 1996. Copyright © Temporary Home Care 1996-2018. All Rights Reserved.